In the summer we can usually be found spending the hot days at a local lake. Lots of sun, swimming, and fun. But the above picture is the usual look for Miss Stalin while we are there. 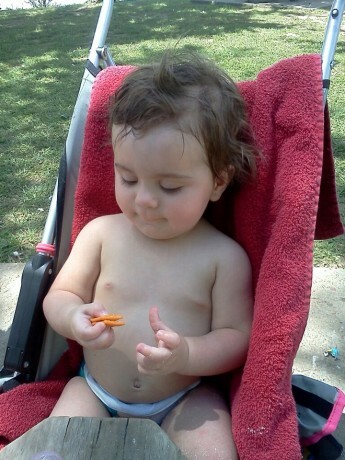 With still needing regular diaper changes I haven’t found a better alternative from a swim diaper or a cloth diaper. Bella Bare Wear is the baby of Ashley Rose. It began in 2009 after spending the entire summer at the beach with her infant daughter Bella, dreading each time she had to change her diaper. 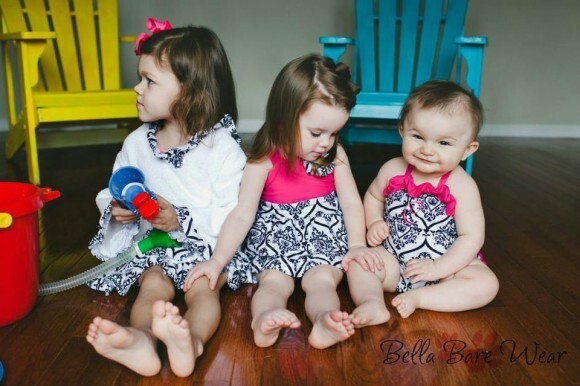 She decided there had to be a better way and launched Bella Bare Wear- swimsuits with snaps that made diaper changing at the beach and pool fast and easy! Not only do the snaps come in handy for little ones who need diaper changes but also are great for older children who are potty training. They make it easy to remove the suit for quick trips to the restroom. I love the fact that these suits offer so much protection from the sun as well as being functional. Add in the fact that they are made in USA and I am thrilled. Oh, and they are cute as can be! Due to some personal things the company had to take a back seat to other obligations and while still in business it was on a smaller scale. But that is all going to change! They are now on launching through Kickstarter! They will be pre-ordering the 2013 collection at discounted prices to people who back the project. 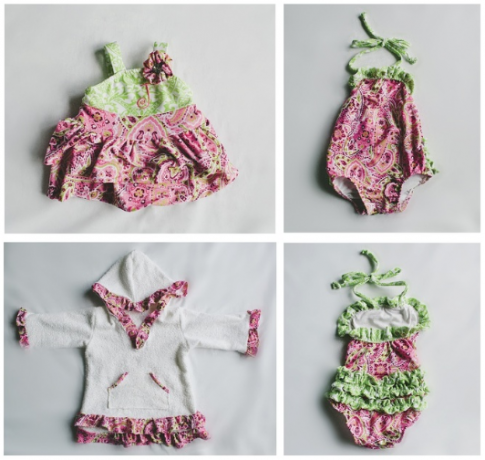 With summer on the way it is a great time to start thinking about swimwear needs for you little one. And Bella Bare Ware on Kickstarter is the perfect way to get one of these amazing suits for less than retail plus have a hand in seeing a business be successful. You can also like Bella Bare Wear on Facebook to stay updated on happenings.